In the summer of 2008 we did a major home renovation. The renovation included our entry, living room, dining room and kitchen areas. These areas are all encompassed in a large great room. There were three focal points to the renovation; a new fireplace and hearth, a custom entertainment center and a complete kitchen renovation. David Yonenaka, owner of Fine Line Joinery, was instrumental in completing two of these focal points. David designed and built our custom entertainment center. The unit included storage for our stereo and TV equipment, and for media. It also housed our new 52” flat screen TV. David designed this unit with tambour doors, which allow us to keep the unit open or closed. The unit is a beautiful piece of furniture and exhibits outstanding craftsmanship. Our kitchen renovation included a complete demolition and rebuild. 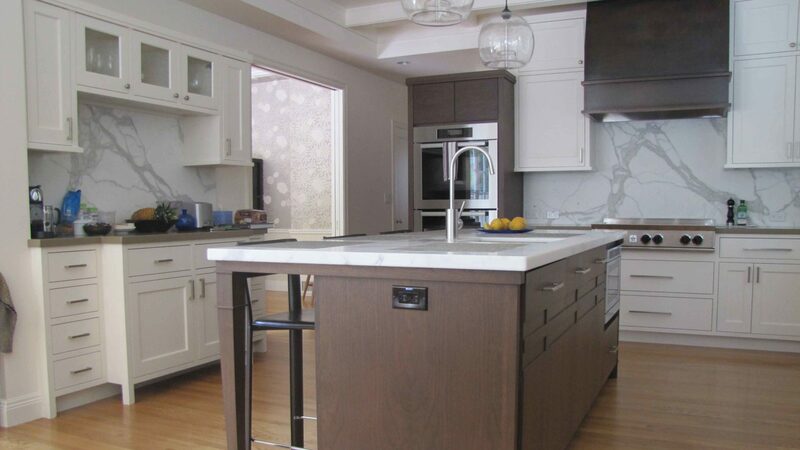 David built custom kitchen cabinets for us that went from floor to ceiling. These were quite a challenge due to the fact that our ceiling is sloped and we have many angles due to huge beams on the ceiling along with many wall corners. He was the perfect man for the job! David listened to what we wanted, heard what we said and was able to execute impeccably. He is intuitive, asks questions to fine tune the concept and provides insight on improving ideas. He was genuinely concerned about providing us with what we wanted. His work speaks for itself…you are welcome to come by and see for yourself. David Yonenaka has an impeccable work ethic, is a genuine person and was a joy to work with. We highly recommend him. We were blessed to have him on our job. David helped make our dreams come true.